Have you ever been reading, inspired by thoughts of your faith, and wishing to capture the messages you hear so that you can remember them and share with those who you know? I know I have been there, and a pad of paper can get messy real fast. 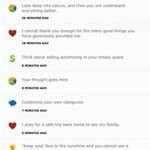 An award winning app, Thoughtree, designed for both iPhone and iPad, is an app that I was introduced to recently that may be just the solution. A piece of technology that, while not specifically an app with a Christian mission in and of itself, is yet another modern tool that can be used for good. A tool that we can use, which does not fit into the categories of risky immoral technology that those who swear by tradition would otherwise have it in… ok, maybe I am taking this a bit too far… never-mind then, just try it out! With Thoughtree you can easily organize your thoughts, quotes, verses, references… the list goes on. Tip: Start by clicking on the gear icon and tap the plus sign on the top right to add a new category, before you are able to add a new thought. Before you know it, you will have plenty of categories and thoughts that you will no longer have to memorize! I know I have been in church plenty of times, being distracted by the next chapter in my book that I thought about on the drive over. 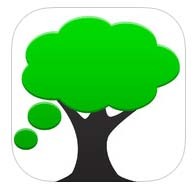 Now I can enter it (once I stop driving) first in my Thoughtree app for iPad, and relax. When you get back to it, easily search for your thought and watch results via an interactive search list appear or disappear as you type in letters. From a tech point of view, it is intuitive but I can see how it may be a bit challenging for some who are not savvy with technology or are new to their iPhone or iPad. Have patience – practice your virtues! The Worship Kenbook leads to the re-centering of a seeker’s faith to basic principles and values, which we can remember in our minds and instill in our hearts, and furthermore find a path toward the utilization of God-given skills. Being a true “dummy” to the concept of worship ministry, this book was a perfect fit for me to read. In fact, I am such a novice to the idea, the picture of the guitar on the cover did not even clue me in to the fact that The Worship Kenbook gives powerful insight into the world of ministry through music. Part of this is probably related to the fact that I have been attending an Orthodox Christian service for so many years: being so connected to His Tradition through my church’s traditions I sometimes lose sight of other means to connect to Him and lead others to the Light of love. Thank you, Gangai Victor, for helping to humble me. The book, a relatively quick and easy read for the one-hundred-and-twenty-some-odd pages that Kindle claims it to be, starts off with a prayer. I really liked this, as throughout the book I was able be more attentive to the concept of prayer that Mr. Victor so often made mention of, stressing its central importance in our life in the Church, God and all we do in the world. From there, it goes right into the DNA of the Church and briefs on various concepts, such as knowing about worship vs. actually worshiping. What a great way to bring one back to the basic foundations and purpose of each here on earth! Additionally, the author frequently backs his message up with quotes. Remaining objective with this is hard, of course. Many of you may be familiar with the unlimited interpretations of verses out there. And some of you may not agree with this… but I myself can’t deny that Scripture is one tool given to us that cannot be overlooked, just as I would look toward stories of saints and the like. Gangai Victor is able to stay objective without pushing any particular denominational theme. I was quite comfortable with what I was reading. My point here is that I would challenge any one of you reading this review to read this book and tell me you were not able to connect in some way! Especially with him using his own life story to connect to the general audience.Another important concept he outlines is one’s heart being in the worship, verses “fake” worship. One being able to distinguish the one from the other is what leads a “Christian” to cross the invisible line of giving one’s self to the Lord and living according to Him. Once again, through sharing his own experience, the reader is given clear examples along with both Scripture and practicality to hopefully unlock their heart during their next worship session with God; whether it be prayer, service or doing a deed that is good in His eyes, the potential to grow is now given to the reader. I have spoken in other posts of how we tend to ignore obvious signs and feel we never hear His voice. 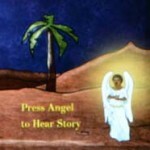 But God speaks through all of us, to help each other move toward His likeness utilizing the image of God. As I continued reading, I was surprised and this is when I realized what it was I was actually reading about. Using the previous chapters, Gangai Victor is really building a strong foundation for who this book is really written for (his dedication clearly states this). For those worship ministers, you now have clear principles to help guide you. Knowledge and love in Christ I would certainly say will bring one’s talents to fruition. And, although I feel that even the most humble fools for Christ can also lead an inspire others in ways aside from displaying earthly, blessings and gifts, the end result in what the author is giving the audience is very unique and is sure to bring another minister to realize their full potential through his careful, thoughtful and intellectual ways of presenting a clear program to follow. Toward the end of The Worship Kenbook, I was particularly impressed with the reinforcement of humbleness and abstinence from pride while leading others. Mr. Victor’s wisdom in both experience and heart bring a smile to my face as now we have an additional insight into using tools to “live in the world, not of the world” and share our common path in Christ with one another. 5/5 crosses given for this eBook indeed. 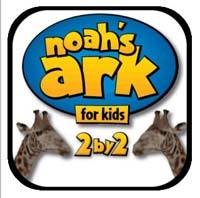 2 by 2 is a new kid’s Christian app for Android that I am thrilled to have had sent my way: a neat, hip, unique and highly functioning tool that can enhance memory skills – from a Christian perspective – is definitely a rare find to offset the overabundance of run-of-the-mill bible verse apps. Based on Noah’s Ark and “2 of each species,” this app worked seamlessly from the beginning of my trial straight through the end. Starting at an appropriate level, I began my journey toward maxing out my memory skills by choosing a card to flip over that would reveal an animal. Once revealed, it returned to a face down position and waited for my next move to find the matching animal behind the other cards. The concept seems straight forward, as most of us have seen the physical versions of memory match cards. But this app made it so interactive, I could not put it down for the next hour. Once successful within the given frame of time, you move onto the next level, and also gain “store points” if able to flawlessly match the cards. The points allow you to purchase hints and tools that will give you a chance to get out of trouble later in the game. I’d compare and contrast this app to Luminosity’s memory enhancing computer games. Allowing your child to increase their brain functioning skills while having fun can be found in both, but with the 2 by 2 app for Android you have easy to push buttons, clear and motivating sound effects and music, as well as tips, instructions and bonuses to boot. All within the reach and each of a smartphone that can be carried on long trips, or even better, when you need a moment to think and need to keep your son or daughter occupied for a few minutes! How often can this opportunity be something that has a Christian point of view to it? 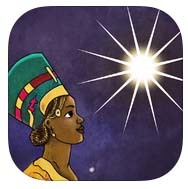 Try this app out to let your kid test out God’s gift of mind. The free version does come with ads, but they are small and don’t get in the way. I didn’t notice them past the next few levels. 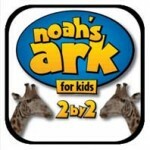 Too focused on getting 2 of each animal on board before Noah departs for safety! I rate this 5 out of 5 crosses, and would give it 6 if I could. Get it now!